Direct from the long-awaited sequel, Guardians of the Galaxy Vol. 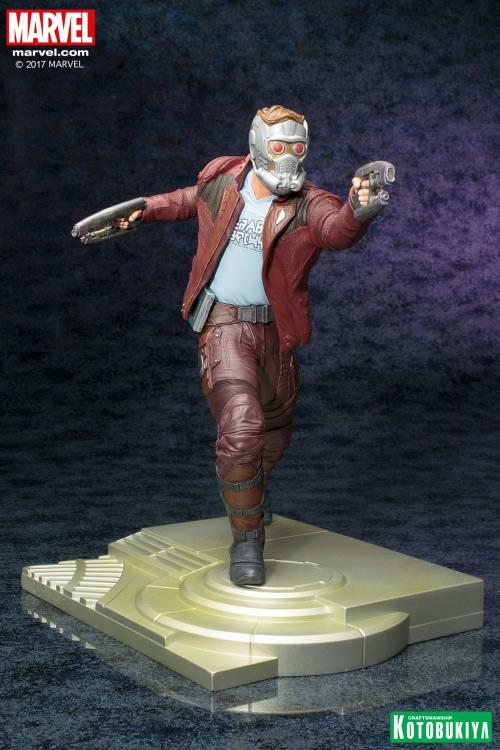 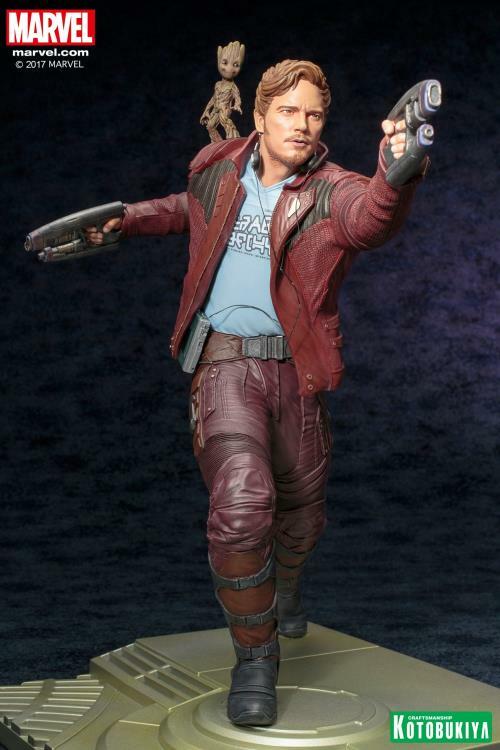 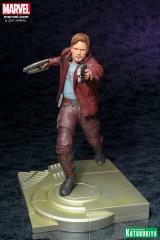 2, comes the now infamous Star-Lord, a.k.a. 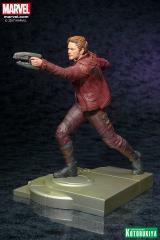 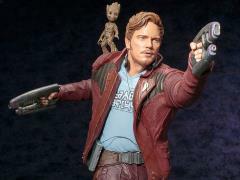 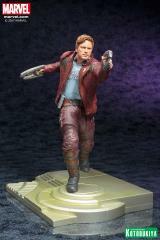 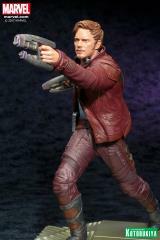 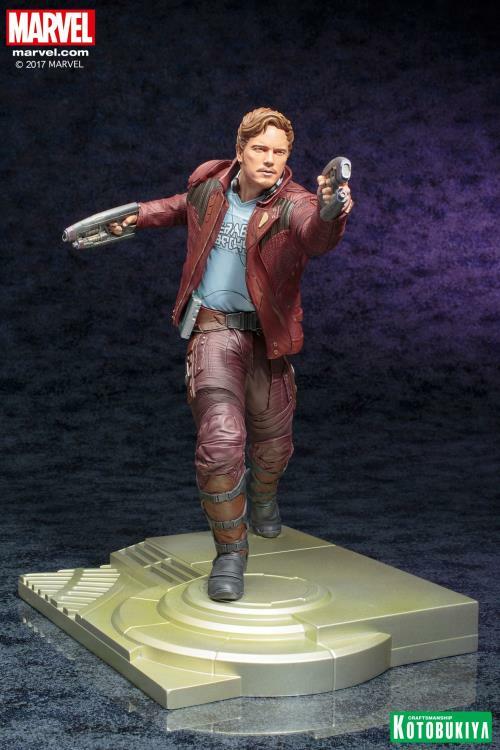 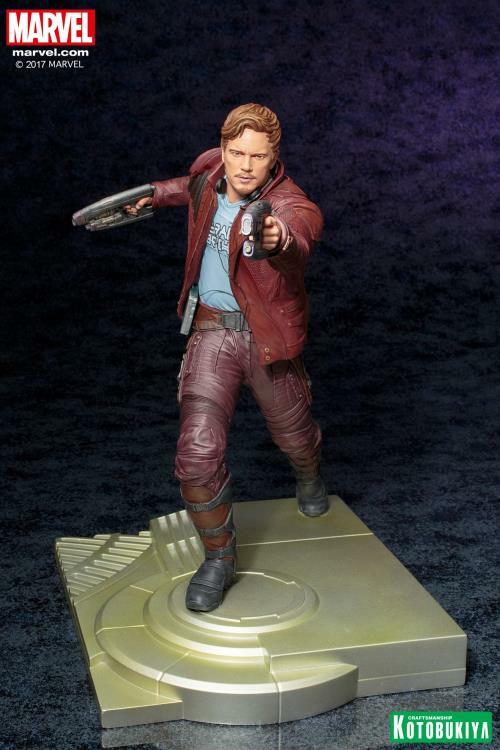 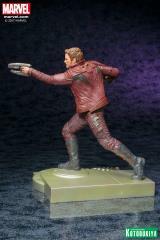 Peter Quill, and the re-born Groot in 1:6 (ARTFX) scale! 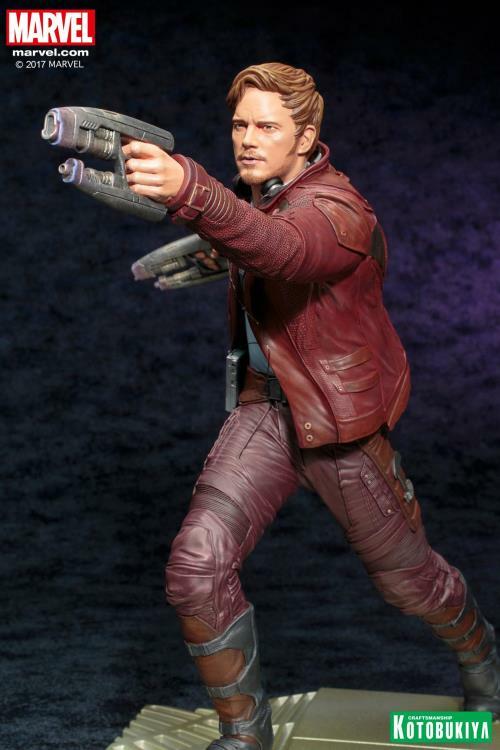 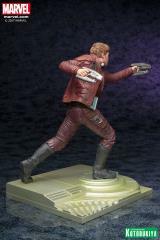 Sculpted by Dave Cortes, Star-Lord is rendered in exacting detail (by referencing actual film assets) in a pose brandishing his quad blasters! Caught in mid action, Star-Lord is over 12.5” tall on his included environmental base. Enjoy the flexibility of various display options through the use of additional headpieces and accessories. 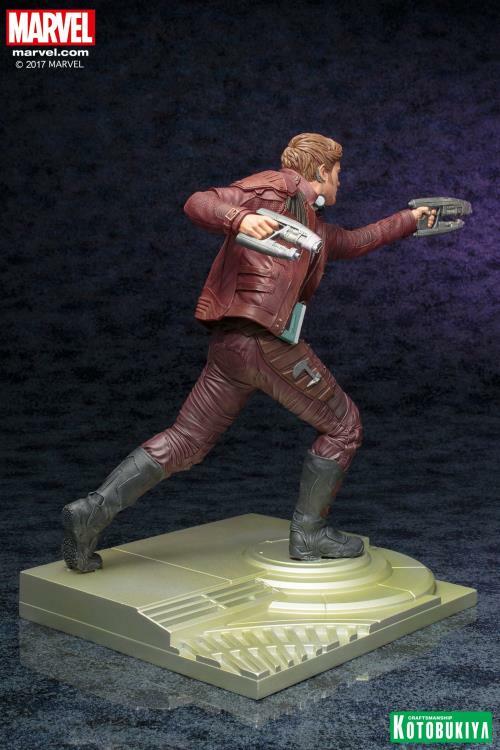 You can switch out his unmasked head to his helmeted head and take on and off his headphones. 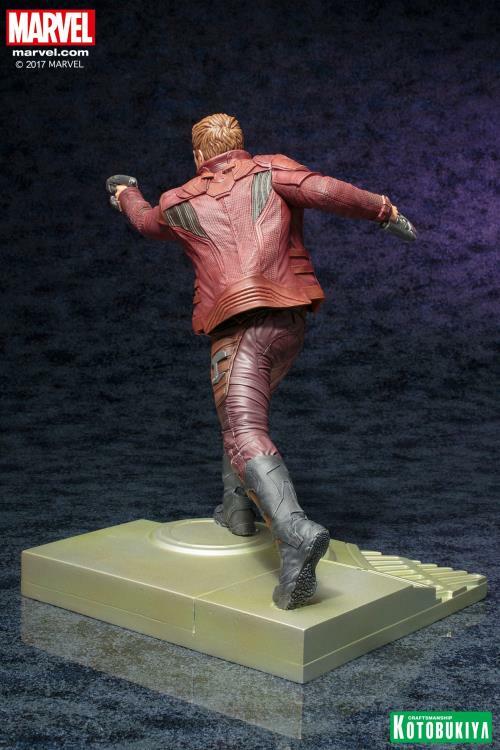 As an added bonus Groot appears to assist Star-Lord in his juvenile form, and can ride on his shoulder or try to keep pace alongside him!